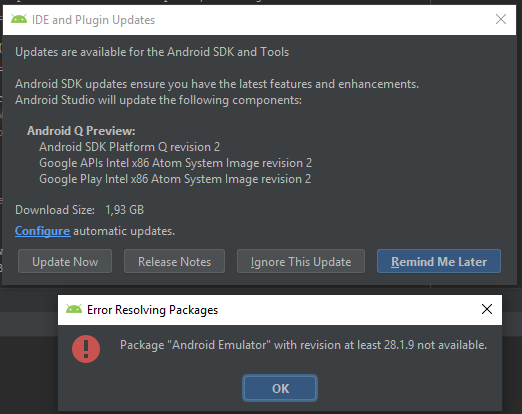 I am trying to add Android Q using AVD manager but it says: "Package "Android Emulator" with revision at least 28.1.9 not available." Has anyone tried this before? Please, say me, what should I do now. This question has an open bounty worth +50 reputation from MnkDude ending in 6 days. Thanks to @JulianC I also set the emulator. I tried to download it standalone from the official site, but couldn't. Then switched to Canary Channel. I pressed Help > Checked for updates, pressed Configure label and changed channel. 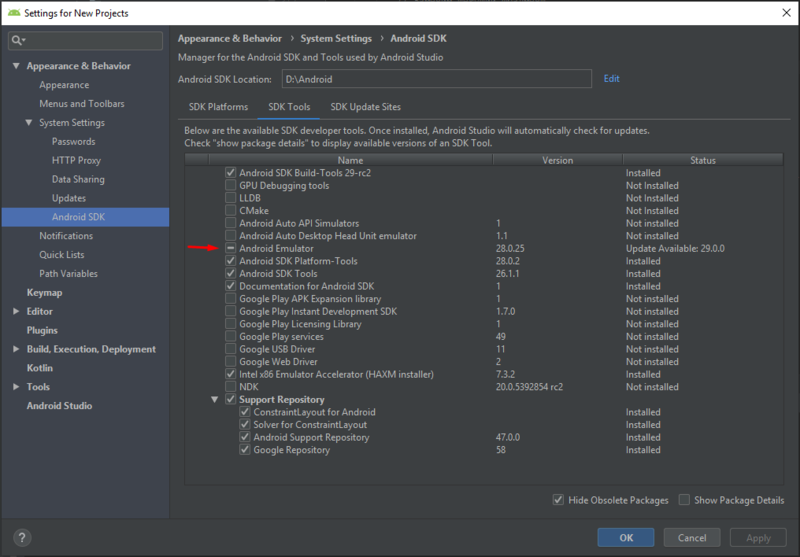 I didn't want to install Android Studio 3.5, so launched SDK Manager and updated needed emulators. Then reverted back to Stable Channel. Sometimes I recreate virtual devices in AVD Manager. Note: If you try to download the Android Q Beta 2 emulator system images from within the emulator, you will be prompted to download the latest version of the emulator. 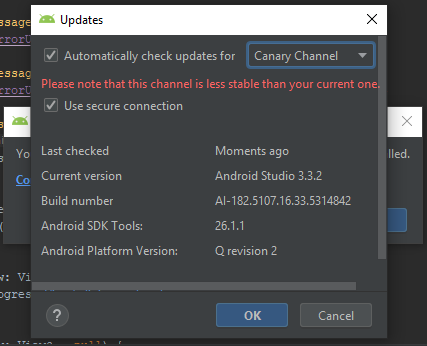 If you are on the stable channel of Android Studio releases, then you might need to switch to the canary channel to be able to download this latest version of the emulator. You do not need to download all of Android Studio from the canary channel—you can download only the emulator from the canary channel from within the SDK Manager. Not the answer you're looking for? 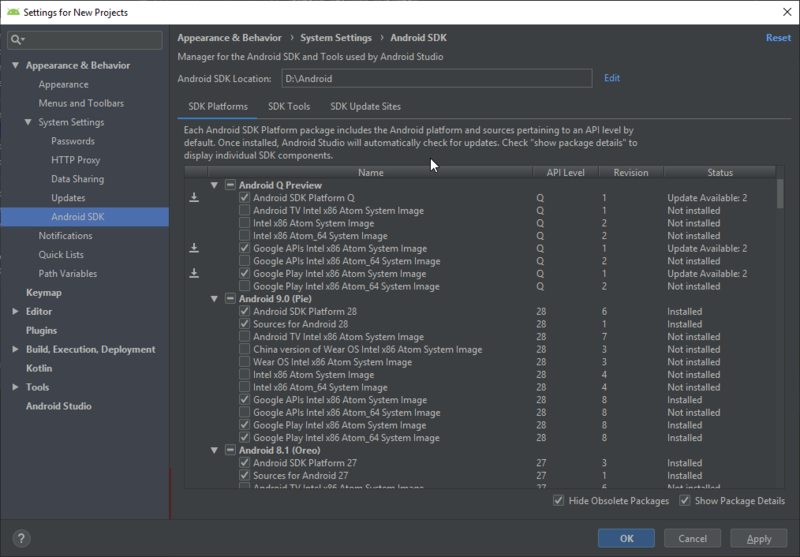 Browse other questions tagged android-studio or ask your own question.